By now, the Christmas tree is likely put away and perhaps you might be experiencing some post-holiday fashion blues like me? Sometimes these feelings, heaven forbid, even translate to a bit of frumpiness in my style. Wait, did I just admit that out loud? I am a wardrobe consultant for goodness sake! This proves that even clothing experts can have a bad outfit day. Preposterous. In an attempt to get my fashion mojo back, I have been perusing the sales racks of my favorite stores and sorting through my closet only to realize that I purged many of my winter essentials in my recent move; this reality has clearly made it a daily challenge to get dressed. Here are the essentials I uncovered that I was missing– all contributing to my recent frump in my winter style. There is hope for us all yet! 1.} Denim Skinny Jeans- This is an important essential for any casual daily routine. Dressed with a tunic style top and tall riding boots for curvier gals or styled with a nice stand alone top and blazer for professionals–this key ingredient is versatile for every shape and lifestyle. 2.} Sweaters- I adore this important staple when you want to look somewhat dressed up but still comfortable! I recommend a more tailored option for String Bean, Peanut, and Pear shaped bodies and a more lose fitted concept for Apples and Carrots. 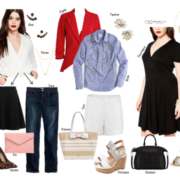 Click here to learn more about dressing for your shape. 3.} Knee-High Boots or Ankle Booties- I wear my knee high boots and ankle booties on repeat throughout the year which is probably why I had to replace them both this season. If you are scared of buying the knee high options worrying they will go out of style in the near future…that is NOT happening. If you don’t have either of these options…start with the ankle bootie. 4.} Colorful Flats or Loafers- Texas winters look and feel a little different than the more northern parts of the country. For our seasonal footwear, flats and loafers are still acceptable for everyday wear. These look great with skinny jeans or a pair of leggings styled with an oversized sweater or longer top. 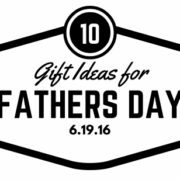 I also love loafers styled with tapered ankle pants and a sharp oxford style shirt and jacket. 5.} Button-Up Coat- Perfect for after work networking or something to keep you warm at work when the thermostat goes wonky cold and you have no control over the temp. These jackets always look more sophisticated than a boring Patagonia jacket. Looking like a lumberjack is never the goal. Just saying. 6.} Poncho or Oversized Cardigan- This is another one of my favorites for those lazy days of running errands. It is something to throw on with a simple tee, jeans and some tall boots. 7.} Statement Jewelry- The right statement necklace and/or earrings are what I call the finishing touches of a great outfit. These essentials transition easily from day to night. If you ever buy these items in a coordinating set…by all means please break the party up. I am appalled by matchy matchy sets. Can you say cringe in two seconds? 8.} Top-Handle Bag- Something about the cold weather makes me love carrying my coffee in one hand with my top-handle bag in the other. It’s also a great accessory to hold close and easily get things out of when in the cold weather. 9.} Scarves- Infinity or straight designs are a charming addition to any winter outfit. This essential not only can add a pop of color to any neutral palette, but also keep you warm. Check out this amazing video to style a scarf 25 ways in 4.5 minutes! ADORE. 10.} Sunglasses- This crucial accessory can add high style to a simple outfit and can also hide those tired eyes on the hard days. Austin cedar is about to kill me and my allergic self. I woke up this morning looking like a bee stung my eyelids. Future so bright..gotta wear shades even in the rain. 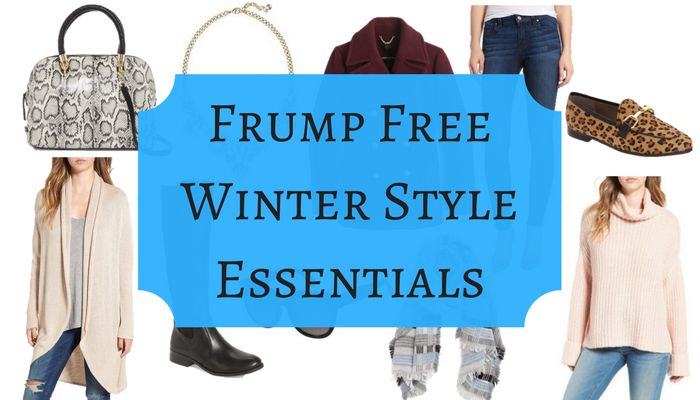 Hope my little tricks and tips can help you avoid the frump in your winter style. What are your favorite winter essentials that keep you feeling confident? Do share in the comments section below.